A body was found in the New Jersey home of Giants cornerback Janoris Jenkins, and police are currently investigating it as a homicide. Jenkins was not home at the time; he's believed to be in Florida. A Giants spokesman says the team is aware and monitoring. Neighbors say it's a quiet area, and Jenkins has been a respectful, friendly neighbor in the time he's lived at the home. A 25-year-old family friend was found dead inside the New Jersey home of Giants star Janoris Jenkins on Tuesday, authorities say. 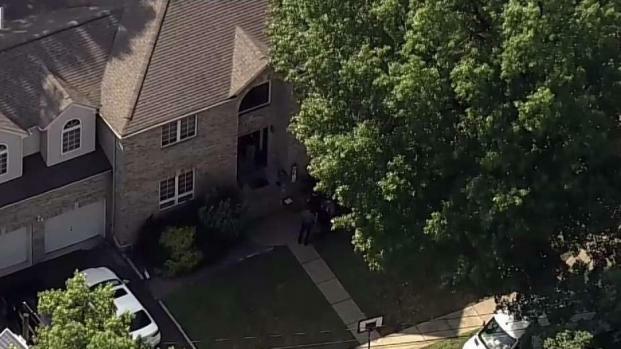 Officials say the body of 25-year-old Roosevelt Rene was found inside the Fair Lawn home at Van Saun Place. Jenkins was not home at the time, and appeared to be in Florida. Prosecutors say Rene, a family friend of Jenkins, was living at the home reently. It's not clear how he died but sources say police are investigating it as a homicide. The Giants organization says it is monitoring the situation. A message left with Jenkins was not immediately returned. Neighbors say Jenkins has lived there for about two years. Bruce Beck contributed to this report.